Thousands of visitors enjoyed the beauty of Kielder Water & Forest Park in 2017 thanks to new events that will become annual attractions. May 2017 saw the first ever Wild at Kielder Festival, celebrating the Park’s rich and diverse wildlife, while the first ever KielderFest drew crowds in September, to celebrate the sport of cycling as the area welcomed the Tour of Britain. 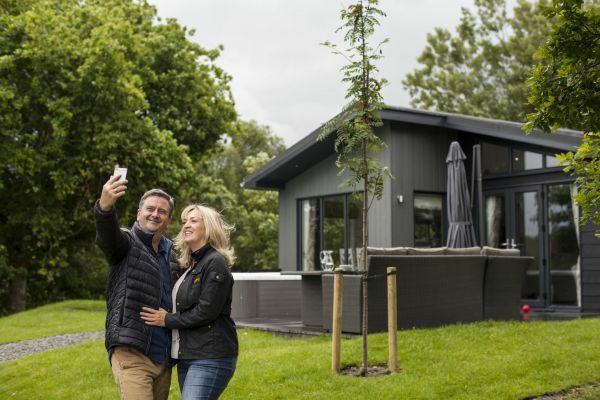 Also, the opening of 17 new lodges, increasing the capacity for overnight visitors at Landal Kielder Waterside, added a new level of luxury for guests. Despite the extra 26,000 “bed nights” to fill, occupancy levels at the site improved to at an excellent 94%. Landal Kielder Waterside also opened a gym that is available for use by local residents. The Wild at Kielder Festival saw more than 1,500 people take part in over 30 wildlife-related activities around the Kielder area, as well as enjoying the established Vintage and Classic Vehicle Show. The success of the Wild at Kielder event has already seen plans begin to hold a second Festival on May 6 and 7, 2018. KielderFest brought an estimated 1,900 people to Landal Kielder Waterside over the first weekend of September, building on the area’s superb reputation for road and off-road cycling and entertaining visitors with live music, a range of food stalls and a big screen. These events complemented the wide range of regular events and activities that take place at Kielder Water & Forest Park, ranging from Dark Skies events at Kielder Observatory to activities in the forest, such as Family Bushcraft and Forest Wildlife Safaris, and hosting the increasingly popular Active Northumberland Kielder Marathon weekend. 2017 also saw the expansion of the Kielder Osprey Watch programme, from 29 to 60 days of activity across the summer months, with the number of people taking part doubling to 7,000. Lynn Turner, Director of Kielder Water & Forest Park Development Trust, said: “2017 has been a bumper year for new activities and initiatives and we are all very excited for 2018. “With the Wild at Kielder Festival and KielderFest set to return, the continued growth of OspreyWatch, the first full year of the new accommodation at Landal Kielder Waterside, and the opening of the additional Kielder Observatory, there is so much to look forward to. “2017 also saw us welcome the Northumberland National Park Authority to the Kielder Water & Forest Park Development Trust, strengthening the partnership and promising to help build upon the great work that has already been done in the area.